For a girl, adjusting after marriage is one of the most difficult things she has to do in her life. It is not only about a new home with new people, but a whole new life style with your dearest mother and father not being there with you. We don’t want to make you emotional but the pain of parting with the mother is something every daughter fears. And marriage along with happiness, also brings those fears to life. Here are the top 7 occasions, every girl misses her mother after getting married. 1. Waking up – When there is no one to wake you up after marriage, the first person you think of is your mother who always used to wake you up not just for school or college but also office. 2. Getting ready – After getting ready for work, mom’s approving look of your attire was all that was needed as assurance for looking perfect! 3. Breakfast – When there is no one to make you breakfast, and continuously call you to have breakfast before it gets cold, all you can do is miss her. Now you not only have to make it for yourself but also for your husband and in-laws. 4. After a bad day at work – No matter how much you try to hide, the look on your face will tell her everything. But after marriage you realize no one knows you better than your mother and no one can comfort you like she did. One nap in her lap was all it took to be happy. 5. Head massage – She not only used to oil your hair regularly but was also the one applying all you hair mask on your hair for you. 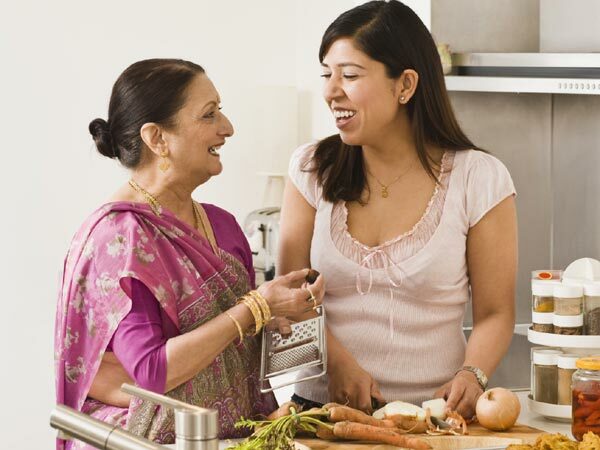 Be it curd, oil or anything else, mom has always been there. 6. Friend – Mom was the one we used to share everything with, from all that happened in college to what all did you shop for. She was the best buddy! 7. Guide - She was not just a friend but also a guide, who taught us all important lessons in life. And will continue to do so, no matter where we are.